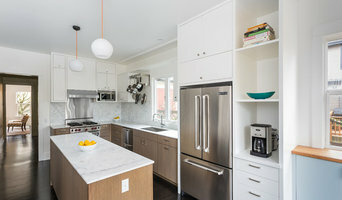 A "Best of Houzz 2019, 2018, 2017, 2016, 2015, 2014, and 2013 design and service winner, Seattle Staged To Sell & Design is a Home Staging and an Interior Design company where every relationship matters. Whether you are selling your home or staying put, we provide Home Staging and Interior Design services for those who seek stylish designs. It all starts with us listening to you. 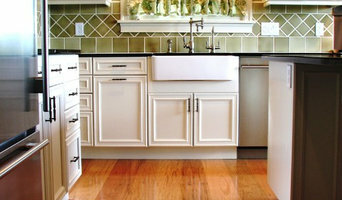 Adapt Architecture is a full service architecture firm with a specialty in older homes. Our mission is to help the homeowner improve the layout for more modern living while maintaining the character of the original house. We don't have a particular "style" but prefer to respond to the architecture and character of the house, incorporating the homeowner's function and style in a way that is classic and timeless. Our work spans from the smallest bath remodel or porch addition to the larger addition or whole house remodel. We are strong believers in a Master Plan to figure out a road map of where you want to go with your home. But most importantly, when you are done, we want you to love your space and feel as if we were never there...and maybe to have added something that you never thought you could have! 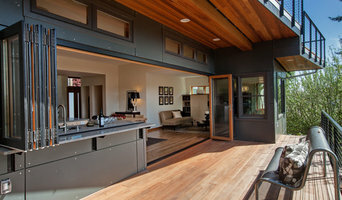 Chapman Construction is a design build general contractor serving the greater Seattle area. Our motto is "Love Your Home" and our number one goal is to hear you say "I Love It". With over a decade of industry experience and with a passion for craftsmanship our team strives to perfect the details and make your home rennovation a memorable and worthwhile endeavor. We have a established reputation for quality and integrity. We hold our team members to high standards for craftsmanship, integrity, and honesty. We like to do the right thing when no-one is looking. Our goal is to build a prestigious team of life long learners who are committed to perfecting their craft. We love working with our clients to develop unique design and architectural elements, and we enjoy tackling challenging special projects. We are committed to sustainable building practices and to delivering a high quality product that will stand the test of time. After 25 years leading visual merchandising and store design for high end retail chains, Considered Space was created to bring best practices and efficiencies from America's top retailers to projects in residential renovation and design. Specializing in adding maximum functionality and visual impact to your home, delivered on-time and on-budget. Whether you're undertaking a large remodel or just refreshing your space, we'll turn your vision into a reality! Call 206.251.3272 or email me at pam.melin@comcast.net. MDK Builders began as a residential remodeling business and we continue to take on distinctive renovation projects throughout the Seattle area. We've added rooms and whole floors, moved walls and entire structures; we've expanded properties to include office spaces, home theaters, guest houses, artist studios, pools and ponds - even a gorgeous cedar and limestone barn for a couple of mares living a short gallop from Microsoft. Whether you're after more space, updated systems, or a top-to-bottom restoration, we can provide the team and the experience to help you realize the home of your dreams right where you live. Experience has taught us that no ingredient for a successful project is more important than trust, and the trust we've built with past clients remains our most valued resource. We believe that the testimonials provided by these clients speak to our long record of reliability, and we're happy to put you in touch with them if you'd like to find out more about their experience with MDK Builders. Long after the dust has settled many of our clients remain good friends. That's always the goal. Each time we build or renovate a great home we make a hundred-year commitment to the generations who will live there. A great home is a repository of stories, and we want to remain an early chapter written in wood and steel and stone that speaks of endurance and craftsmanship. We work to ensure that our reputation remains a part of your home as a source of pride for us as well as for you. But before you start sending out dozens of emails and making phone calls, sit down and think about your project. What's your budget? What is the scope of your project? Will you need more than one type of professional to complete your home improvement project in Shoreline, WA? Can you afford to complete the full project now, or should you tackle it bit by bit? Once you've settled on your project’s priorities, budget and scope, it's time to start researching Shoreline, WA home design professionals. Don't sell yourself short and settle on the first professional you set your sights on. Make sure that you're working with someone local, who can get to the jobsite easily and efficiently. Look into the person’s reviews, ask to speak with former clients and to see previous jobs in person. Take a good look at their portfolio photos: How similar are these projects to your own? Be honest — that mansion might look beautiful, but it might not have a lot in common with your little bungalow. Reach out to multiple professionals — especially for larger projects — and don't settle for the first bid you hear. Comparing multiple Shoreline, WA professionals' bids and experiences can help you find the one that’s best for you. Ask a lot of questions now, so you won't have unexpected answers later. 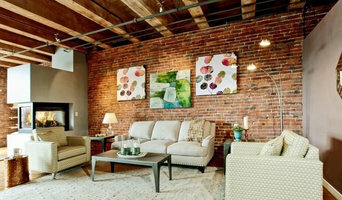 Find a home design professional on Houzz. Narrow down your search by type of professional and location. Browse Shoreline, WA portfolio photos, read client reviews and contact each Shoreline, WA professional for more information. Check out the information in the specialized professional sections too for tips on how to hire the right professional for your project.